How does a nonprofit organization reimagine and reinvent itself for a new era? For the Albemarle Charlottesville Historical Society, this meant investing in their history through their website and emphasizing relationships with their donors using Give. This Give Story details how one historical society is redefining its image with a renewed focus on community and historical education. 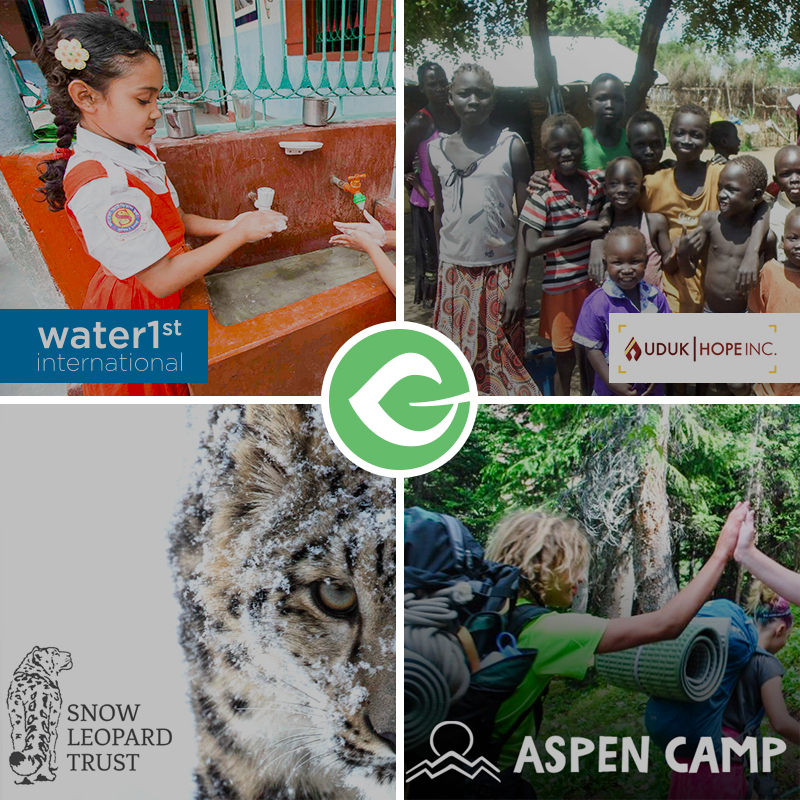 They’re using a new WordPress site to share their mission, story, and purpose with the world. In August 2017, hundreds of white nationalists gathered to protest Charlottesville City Council’s decision to remove a statue of Robert E. Lee that represents the U.S. Confederacy. The resulting violence and chaos made international headlines. Recently the Historical Society made a change in leadership, which was meant to help the organization create a new public image. In March, the Board hired Coy Barefoot, a local author, journalist, TV host, and radio host. The need for the new website goes deeper than a cosmetic makeover. A new website meant a reflection of the adjustment toward a mission-oriented cause. It allowed the Historical Society to rewrite its story to reflect the values and mission they represent in this new era. A traveling Community Series that takes place in various locations throughout the Charlottesville area. 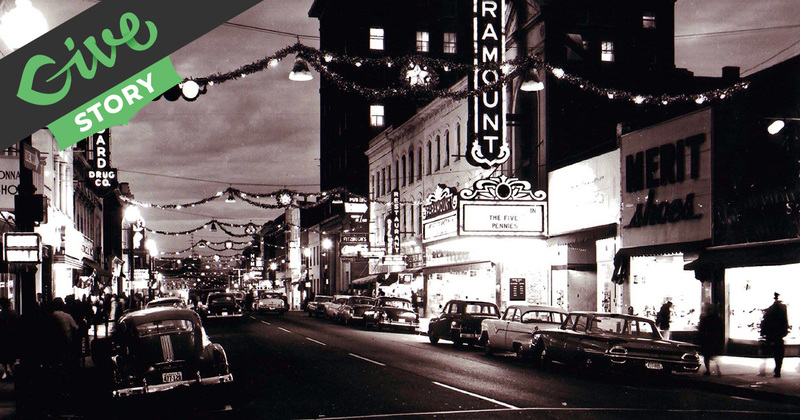 Historic tours, including a tour of some of the oldest trees in Virginia and one of the Downtown landscape. New exhibits in the museum and local businesses. The Society’s new website needed to reflect all these changes and provide the public with the information they wanted. An organization’s website is the foundation of their public image. How you represent yourself online is determined by your website design and content. An expert in public perception, the Historical Society’s new Executive Director made a new website one of his first priorities. Not only did this site need to reflect the changes made to the Historical Society overall, it needed to implement a donor-focused design. Faced with a limited budget and enough website building experience, Barefoot decided to build the website himself using WordPress. He knew what he wanted, he just needed to find a way to build it. Barefoot chose to use Divi and implement some “fantastic templates” from Divi Den as his base. There were times when he did get stuck and used the Divi support team to help complete his project. The website now clearly shows the strengths of using Divi when it comes to creating a network of programs, articles, information, and other necessities for a historical society, like online donations. It starts with a strong hero image. A video of this nature is particularly important for an organization seeking to reinvent itself. 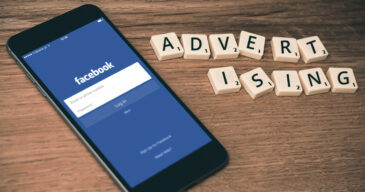 Video is not only one of the most engaged-with pieces of media on the internet, it also allows the organization to fully harness the power of storytelling. The video created by the Albemarle Charlottesville Historical Society tells you about their mission and invites you in to share the experience. The website then leads you into a full-screen menu including photos. This visual guide points to a few key areas on the website that are important for both the cause and the transparency of the organization. After that, the site displays a strong call to action with a moving slider filled with more direct key website areas. Lastly, the Historical Society’s information on its exhibits, classes, and programs is displayed briefly in a tabbed section. The organization of the website reflects the restructuring of the organization as a whole. The new website allows the Historical Society to tell stories of the past, what they are doing to educate the public and get more involved in the community, and how to get involved in a variety of ways. Allow people to sign up for memberships in the Historical Society (a “friends of the museum” organization). Give on a recurring basis. Sign up for personal enrichment classes. When it came time to build his donation pages, Barefoot used a strong header image and a written appeal for giving. 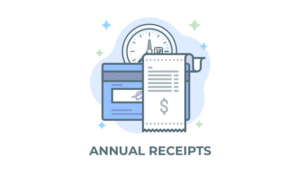 Each donation form is fully displayed in the middle and the Historical Society’s values, mission, and vision are restated at the bottom of the page. 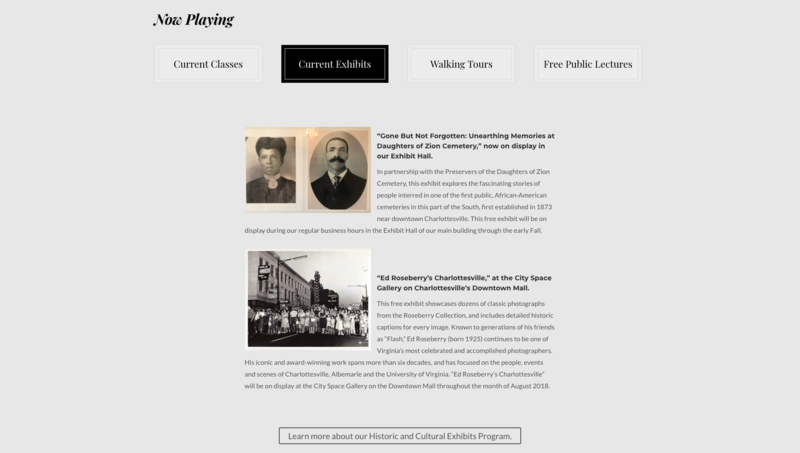 Overall, reinventing the website for the Albemarle Charlottesville Historical Society was a piece of a plan for much larger restructuring and repurposing of the organization. At a time when the town needed more ways to come together, the Historical Society stepped in to fill the gap with storytelling. One of the most important pieces for any organization is to tell their story to the world. 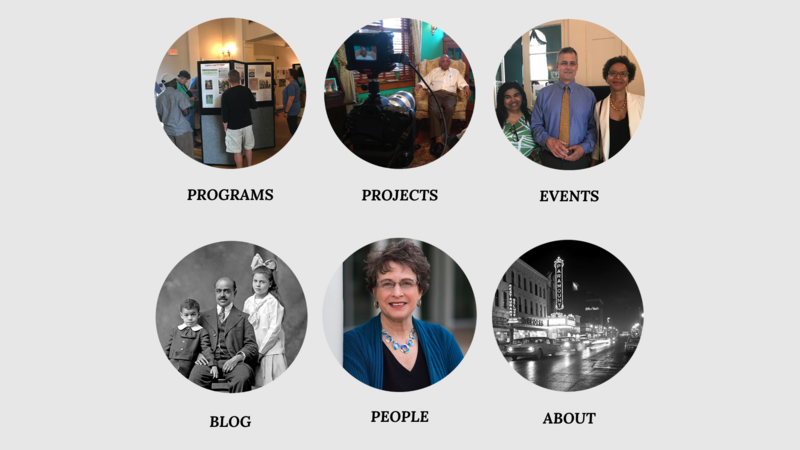 The new website for the Historical Society does just that. It also invites the public to join their cause and makes everyone feel included in the sharing of history. 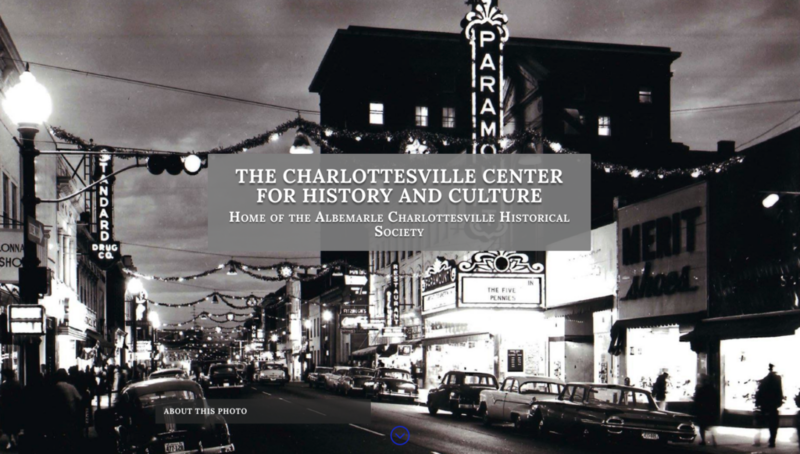 For more information about the Albemarle Charlottesville Historical Society or to see their redesign, visit their website. How has your cause changed over time?